New World Library, 9781608682560, 235pp. If you've started a business, you know that the journey toward success can be both invigorating and confusing, so where can you find advice that is practical and focused but still as playful and passionate as you are? 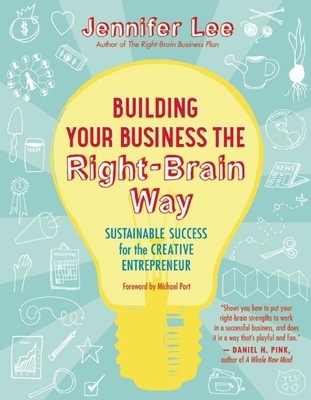 Look no further than this book, which combines solid business expertise with a right-brain perspective that inspires creativity and innovation. Jennifer Lee's fresh, empowering approach emphasizes taking action and continually improving to achieve extraordinary long-term results. * assess your business's unique "ecosystem"
* carve out vital white space to pause, reflect, and celebrate. Jennifer Lee is the founder of Artizen Coaching and the bestselling author of The Right-Brain Business Plan, which has helped tens of thousands of entrepreneurs around the world launch their creative businesses. Before pursuing her own passions full-time, she consulted for ten years for Fortune 500 companies such as Gap Inc., Accenture, and HP, helping leaders and organizations manage change. She lives in the San Francisco Bay Area.